New year is not only time for family-gathering but also a chance to re-new our house. Because home is where the heart is, we might all put so much heart into decorating our house to celebrate a new year to come. So many options are available, but what will meet our requirements in terms of aesthetic appeal, reasonable cost and especially, style? 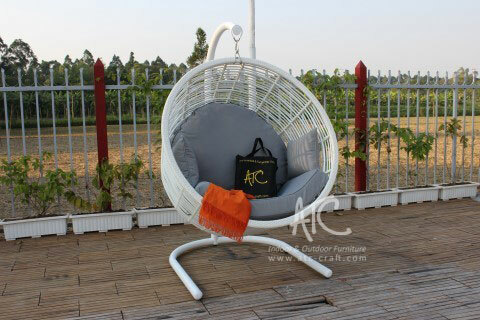 Suggestion from ATC Wicker Furniture Supplier is the 2019 trendiest synthetic rattan swing chair, and below are 4 reasons why. Egg hammock can fit both outdoor and indoor areas. It is generally believed that hammocks are for gardens only. But that is just about very old-fashioned types, not the ones we are mentioning. 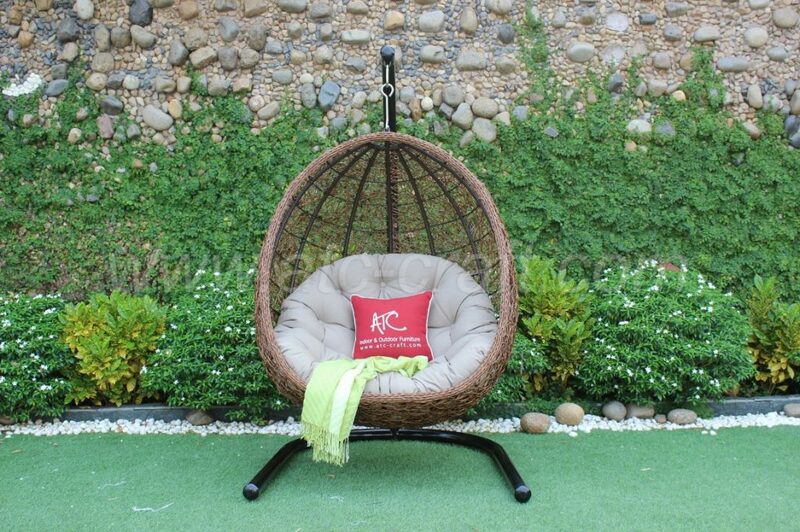 In fact, a synthetic rattan swing chair can be a remarkable accessory for both interior and exterior space in your house. This is thanks to its neat yet impressive design, which will perfectly blend with almost every corner in the house including a big green garden, a warm sitting room or even a small nice balcony. If you are still worrying about the fact that egg swing chair has no sunshade, don’t be afraid then. Thanks to its all-weather-resistant material, the chair can last very long despite different weather effects and remain durable outdoor. Trends might come and fade, but furniture is one of the things we use for a long period of time. Therefore, how to choose trendy furniture in 2019 New year, which will not become old-fashioned in many following years, seems to be like a dilemma. However, there’s still an approriate solution for this: Synthetic rattan swing chair. Just imagine how a unique hammock swing chair instead of boring armchairs and sofa might bring a brand-new look to your house in a new year. In addition to that, this kind of furniture can remain stylish in the long run thanks to its weather-resistant wicker, strong steel frame and durable powder coating. It is undeniable that style plays an important role in the appeal of the house, and the key here is harmony of all furniture. The best New Year decoration follows the same rule: Right furniture is the one that will perfectly blend with selected areas in your house. For example, if what you are going for is Minimal Style, a synthetic rattan swing chair can be a good choice to furnish as it’s space-saving yet comfortable. If Elegant Country is your style, our suggestion is to try a golden-brown wicker hammock. The colour and design will definitely make it a harmonic part of your garden. 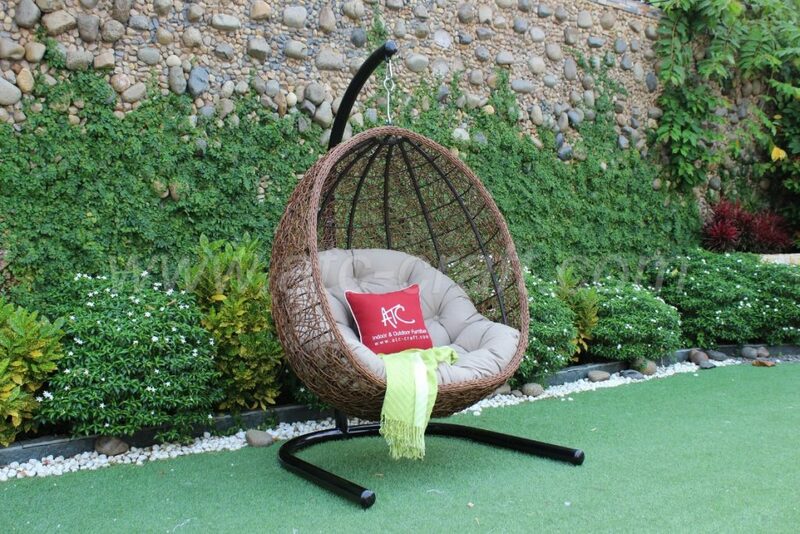 In case you prefer something rather unusual, like unsophisticated yet stylish Rustic style, poly rattan swing chair should also be under consideration. 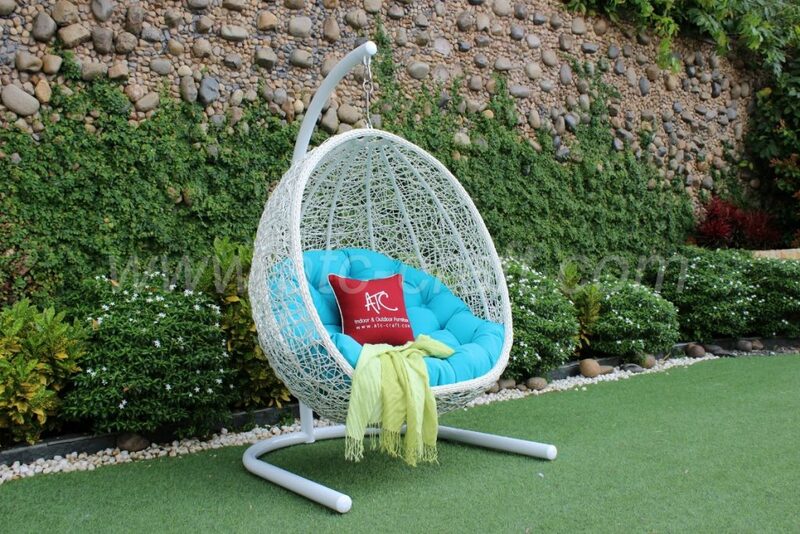 This is because its base materials are both synthetic rattan, whose appeal barely has any differences from natural one, and strong durable steel frame. Their combination in such a product can create the feelings of rural and rough to your home. So how about re-making your decoration for house, is there any suggestion? That seems to be not easy at all, but a wicker swing chair can help. This furniture is kind of lightweight compared to others, so rearranging is no longer a problem, especially on such an occasion. New Year is a big holiday and not so many people have plenty of time to prepare for it, so a plus is given to the swing chair for this good point. One of the most important factors while choosing any item is its cost. This is even more accurate when it comes to furniture products, as their prices are usually high. Some families might prefer to buy some small decor items for New Year and then put them to the rubbish bin. However, suggestion from a furniture supplier like us is to invest in a good product so that you can use during all year long. Why do we have to spend money on short-terms items which will turn out to be a waste soon? Or why do we have to allocate a large amount of money to buy such luxurious products? Why don’t we pick up a medium-priced, trendy and durable one? 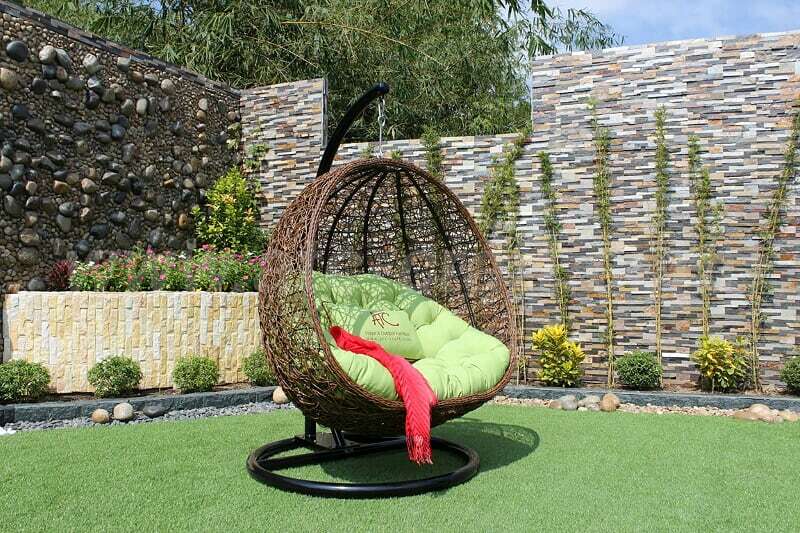 With synthetic rattan swing chair, you will not only re-furnish your house for New Year celebration, but can use it for a long period of time as well. This is also a tip to become a wise buyer. In conclusion, synthetic rattan hanging chair as New Year’s choice will both help us save money and make your house become more special! If the points above are also what you are looking for, do not hesitate anymore. Contact us and we can create the best solution for your house’s New Year decoration!